Prepay Nation’s airtime transaction platform is robust, flexible, globally connected, and can add significant value to any alternative mobile financial service provider. Whether your strategy is to provide useful offerings to immigrant workers, or you simply need a new way to add new revenue to your business, we can help. Our mobile network connections enable our partners to reach billions of consumers with a single integration! Join the thousands of businesses that have discovered the value of connecting to Prepay Nation. If your company offers money transfer services, you know that prices are under heavy competitive pressure. The industry is able to charge no more than 4% to 6% (fees + foreign exchange) as a percentage of the money sent… if you are an agent, then you get even less. Did you know that airtime is arguably more profitable to your business than money transfer? Our overseas mobile partners offer us bulk discounts on their airtime which we pass along to you. So with prepaid mobile airtime top-up sales, although the individual transactions are smaller, they net you up to 2x the percentage… or more. If you are in the business of supporting the immigrant consumer then you know the difficulty in creating international product deals, perhaps finding retail agents overseas, managing Forex and complying with the relevant regulations on both sides of the business. With Prepay Nation, you can tap into a ready-made ecosystem that gives you a cross-border product, and connects your business instantly to a wide world of countries and companies… and, more importantly, customers. 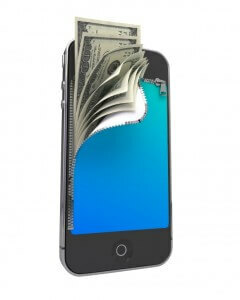 Alternative mobile financial services are the future. We want to partner with you to bring your service to the millions of diaspora consumers around the world who are searching for better solutions to their needs. Adding airtime to your product suite is fast, easy, and profitable. Get in touch today to learn how to get started. Our API allows us to connect the Prepay Nation platform to any provider system, point of sale, app, kiosk or website you can think of. We populate our ecosystem with mobile carriers large and small from around the world, reaching millions of people with one point of contact. Reach further. By integrating with Prepay Nation, you gain turnkey access to an ever-growing number of retail outlets in the developed world. We have integrations in over 90 countries and growing, meaning that no matter where an end customer is from, they are almost guaranteed to be able to reach their loved ones back home through Prepay Nation.